Join Savannah Scavenger Hunt author, Chris Sergi, to discover the wonders of the nations largest National Historic Landmark District. Sergi pulls together little-known facts, visual treats, and enticing tidbits of history in this scavenger hunt designed for all ages to enjoy. From underground tunnels used by pirates for treasure transport to mausoleums and stained glass windows, the city abounds with secrets and trivia for all to discover. If you like to dip your toes into casino waters, head to the Hollywood Casino Perryville, the first gaming facility to open in the state of Maryland. Smaller in size, not too noisy and a friendly atmosphere makes for a pleasurable experience. With over 850 slots, there is a good mix of classic favorites and some of the newest technology. including the Ellen (Degeneres) video slot machine. There are also 20 tables highlighting classic casino games. They also offer off-track betting. If you’re like us and prefer to do a little shopping instead of trying your luck, step inside the Rodeo Drive Gift Shop for a good selection of Maryland souvenirs, collectibles from Hollywood’s classic movies , unique gifts and souvenir Hollywood Casino items. As for eats, the Celebrity Bar and Grill, casual dining venue, features a variety of entrees each with its own special flair. Celebrity Bar and Grill offers FREE live entertainment every Saturday night and weekly trivia contests and karaoke nights. Guests must be 21 Years or older to enter the Casino, restaurants and shops. Here’s Sandra with Dave Fisher’s successor on CJAD, Ken Connors. 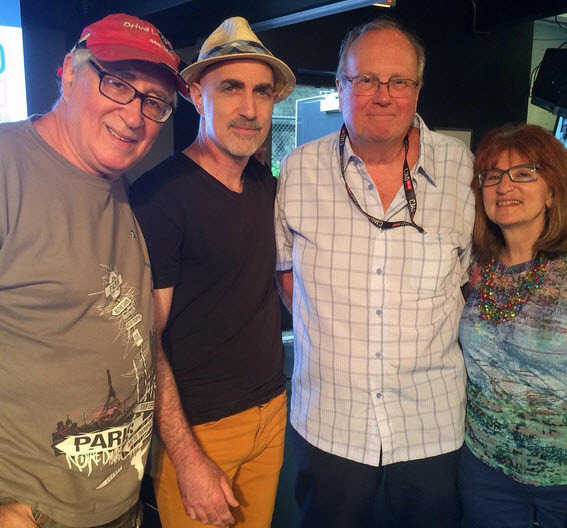 Stan and Sandra with Dan Laxer and Dave Fisher during his retirement party at CJAD. If you are heading out to Ottawa to enjoy our nation’s capitol, leave some time to explore the Canadian Museum of Nature. It’s the perfect place for all ages of the family to enjoy themselves. The brainy kids (or adults) can soak up extensive details about nature while the playful gang can pull levers or turn knobs in a deep sea sub, learn on many touch screens, or even dance around in front of the endothermy camera checking out their colorful “hotspots”. Everyone is awed by the the 19.8-metre blue whale skeleton in the Water Gallery but keeping going further in. All the way in the back are many interactive games for young and old alike: make believe areas for the wee ones, a board game along a wall, animal jigsaw puzzles on touch screens, word games, etc. Gawk at the dinosaur fossils or walk amongst the fleshed-out dinosaur creatures for photo ops with kids. In the Vale Earth Gallery swoon over the 1200 gorgeous minerals, rocks and meteorites. Our 5 1/2-year-old couldn’t get enough of the joystick which controls a huge earth or the button to start the volcano. Sure there’s a full size mammal gallery but the 11, 8 and 5 1/2 year-olds all stayed longer in the small Nature Live space where they oogled the cases of walking stick bugs in different camouflage colors and thicknesses. How many of you have come face to face with a tarantula? 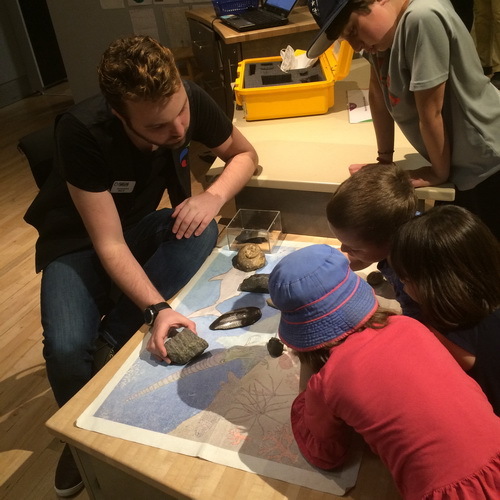 Then they listened intently as a docent showed fossils which were indigenous to Ottawa. 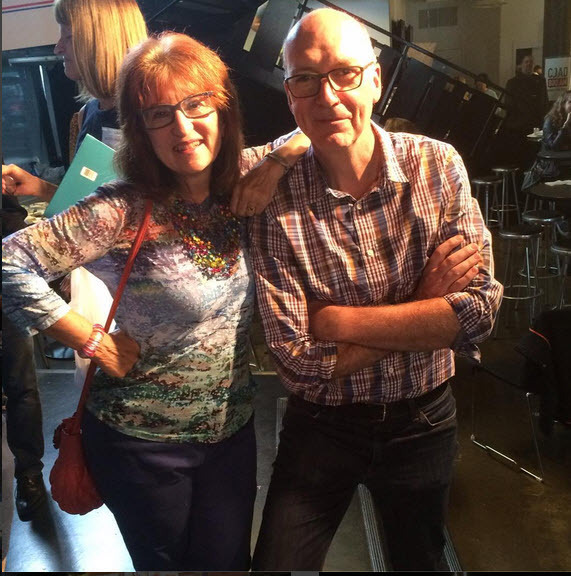 If you have time there are two 3D movies, “Prehistoric Planet 3D and Micro-Monsters 3D” (both too scary for the 5 1/2 -year old) but our gang liked the interactive museum more. The famous Bird Gallery, with one of the most extensive collections of Canadian birds in the world re-opened June 1. A special exhibit on now is Ultimate Dinosaurs June 11-September 5 and then upcoming is Reptiles: The Beautiful and the Deadly, October 6-April 2 . 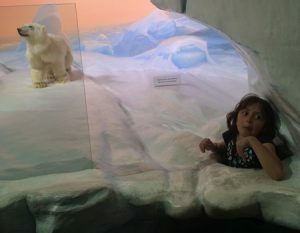 A brand new Arctic Gallery will be unveiled on June 23 which is set to explain how the arctic is changing, including plants, animals and people of the area plus scientific research. 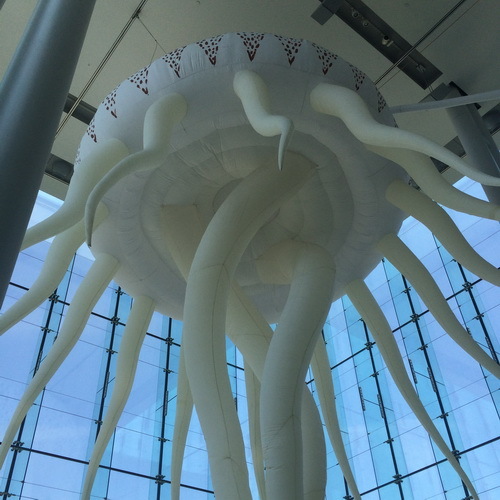 Outside, three new ecozones will be shown off on June 17 including a woolly mammoths and an “iceberg”. I’d like to give a thumbs up to the friendly security guards who answered questions informatively and helped to point out nearby bathrooms and water fountains. Canadian Museum of Nature, a Beaux Arts building, was our first national museum, completed in 1912. Trivia buffs should note that this building served as home to Canada’s House of Commons and Senate following the fire that destroyed the Centre Block of Parliament in 1916. If you are heading out to Ottawa to skate on the Rideau Canal and to enjoy Canada’s capitol, leave some time to explore the Canadian Museum of Nature, their first national museum, completed in 1912. The Beaux Arts building was recently renovated and is now fronted by a towering glass atrium. That’s where we found the arts and crafts action. Perhaps leave that for the end, after you’ve had a chance to watch “Exploding Geology”, the tornado demonstration, walk through the large bird display (and play on the interaction boards), swoon over the 1200 gorgeous minerals, rocks and meteorites , meet the 10-metre blue whale, enjoy the full size mammal gallery (look for the reindeer), go face to face with a triceratops, or spy on the tarantula. Kids of any age and their parents will enjoy their day. If you have time there are two movies, “Nature Unleashed” and “3D Dinosaur” but our gang liked the interactive museum more. Special exhibits coming up will show off Ikebana, Japanese floral design, Flora of the Canadian Arctic and in the summer, the Hidden Lives of Ants. Trivia buffs should note that this Canadian Museum of Nature served as home to Canada’s House of Commons and Senate following the fire that destroyed the Centre Block of Parliament in 1916. 27 mySQL queries executed in 0.251 seconds.